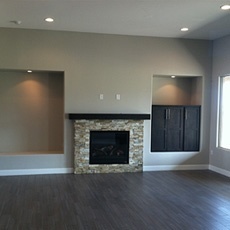 Butcher’s Painting is a full service Arizona Painting Contractor, started in 1985 by Jerry Butcher. His son Jason joined the family business 10 years later and together they have been Painting Arizona more colorful ever since. Jerry & Jason take a very hands on approach to every Painting Project and inspect each job personally. 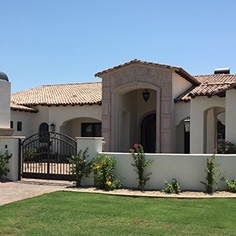 Butcher’s Painting has successfully painted thousands of homes throughout the Phoenix Metro Area, Prescott Valley and Sedona. Their painting philosophy begins with a thorough and proper preparation of the painting surface and the use of premium paint products. With every painting project, there are several things to consider. First is the preparation required prior to any paint being applied. Butcher’s Painting goes to great efforts to insure that your home and its contents are protected prior to the beginning of any project. After more than a half century of experience in the painting industry, Butcher’s Painting expertise reaches much further than just traditional painting projects. Regardless of the substrate; wood, metal, masonry, glass etc. Butcher’s Painting can recommend a painting process to cover it. 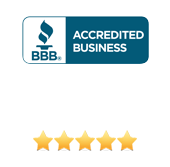 Butcher’s Painting would be happy to provide you with a no obligation estimate. Please provide us with some additional information about your project, such as; square footage, number of bedrooms and bathrooms, total number of rooms, total number of colors to be used. Don’t forget to include any special requests, and thank you for considering Butcher’s Painting. Butcher’s Painting showed up on time, and ﬁnish the job as scheduled. Very professional and neat. Willing to assist in choosing colors, and matching decor. My neighbor complemented the quality of workmanship and ﬁnished product. I have given Butcher’s Painting number to all of my friends. Butcher’s Painting deﬁnitely made the repainting of the condo an easy, seamless experience. I appreciate the time they spent recommending the colors and explaining the products they were using. 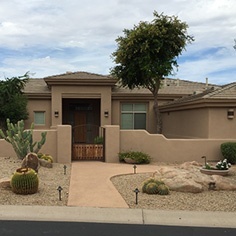 Being in Chicago, Jason took the worry out of project and it has been hard to ﬁnd a responsive, good and professional painting outﬁt in Arizona. 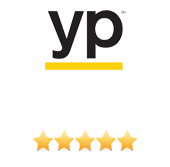 So I am very happy Bobby recommended you to me and I have you now locked in my Rolodex. It turned out great. I will for sure be using you in the future and will pass along your information to my family and anyone else who asks me if I know a good painter. Butcher’s Painting has done a number of different projects for us over the past several years, including the exterior of our home as well as the the interior. 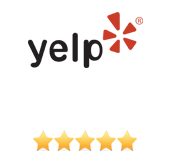 Jason and his crew were always on time and the quality of the work was exceptional. The lines and ﬁnishes are perfect. Jason is honest, hard working, and conscientious in all respects. His team gets the job done quickly and efﬁciently with no hassles or delays. I can HIGHLY recommend Butcher’s Painting for any job you may have! !